The European Union Foreign Policy Chief Frederica Mogherini meets with the U.S. Security Council Monday in a push to allow military action against migrant smugglers in international and Libyan waters in the Mediterranean Sea. 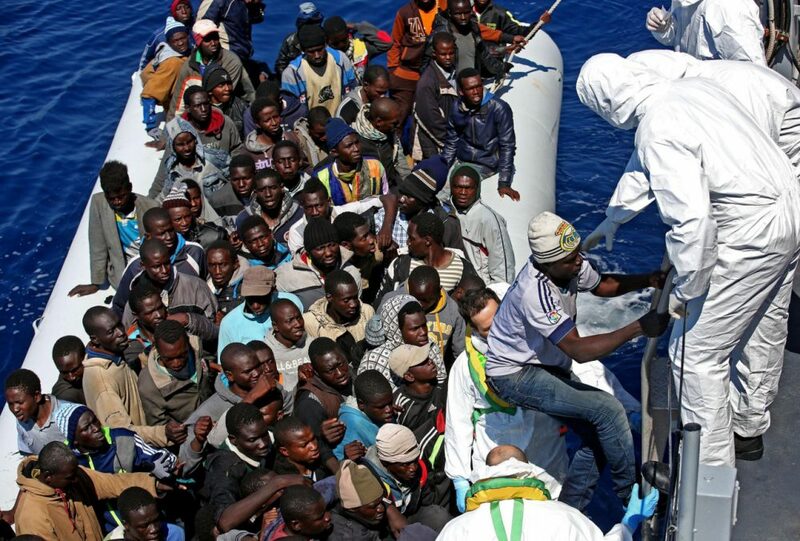 More than 60,000 people have already tried to cross the open waters from North Africa into Europe this year, with at least 1,800 feared dead, according to the United Nations. But as the E.U. is planning for use of force, the aid group Doctors Without Borders is making its way out onto the waters in its own search-and-rescue effort. Here & Now's Meghna Chakrabarti speaks with Sunjeev Bery of Amnesty International for a closer look at the report. Sunjeev Bery, advocacy director for Middle East and North Africa at Amnesty International. He tweets @SunjeevBery. This segment aired on May 11, 2015.
Who Are The Mediterranean Migrant Smugglers?